Large funding shortfalls for special educational needs in schools are causing "untold misery" for thousands of families, a teaching union says. National Education Union analysis found spending was not keeping pace with rapidly increasing demand in nearly all (93%) of England's local councils. 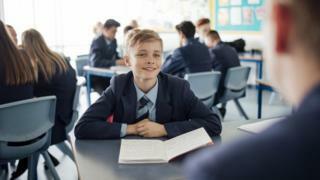 It said nearly two-thirds of England's local councils are spending less per pupil with complex needs than they were three years ago, in real terms. Part of the problem is that since 2014, councils have had to take on support for young people - up to the age of 25 - who are on special needs care plans, known as EHCPs. Joint general secretary of the NEU Kevin Courtney said: "This is an appalling way to be addressing the education of some of our most vulnerable children and young people and is causing untold misery and worry to thousands of families."